Nova can record up to 12 channels of audio to two compact flash cards. 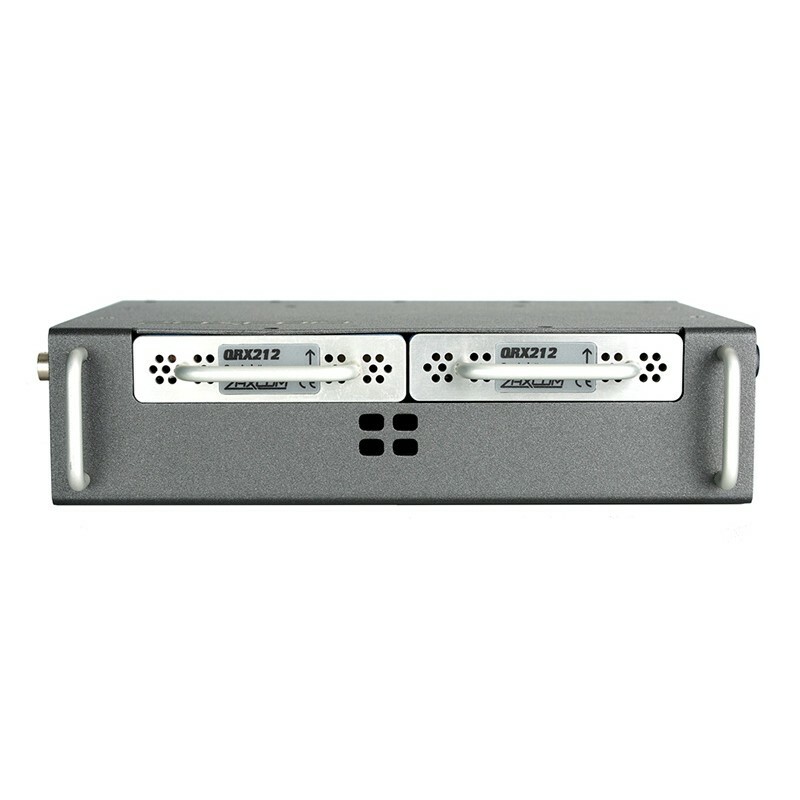 The unit carries 4 mic/line NeverClip™ inputs, 2 line level balanced inputs, 4 external AES inputs, and 6 analog/AES output buses. 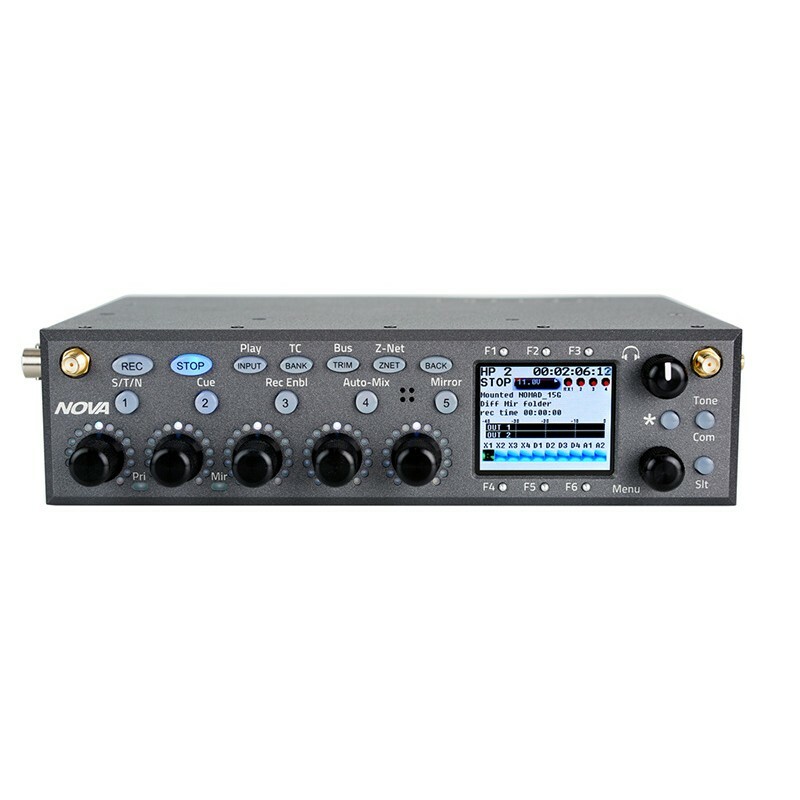 2 AES42 microphones can also connect to the AES inputs and are powered by the Nova. Nova is also equipped with ZaxNet™ remote control which gives the ability to adjust frequency, preamp gain andoutput power on Zaxcom transmitters eliminating the need to approach the talent. 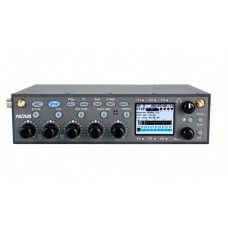 Two optional QRX212 dual receivers can be installed inside the Nova effortlessly. All connections including antennas are made within the Nova without external cables. The QRX212 receivers are the same as found on the Zaxcom RX-12 and RX-12R and are interchangeable with the Nova. Each QRX212 can receive audio from up to 4 separate transmitters in mono or stereo mode for up to 8 channels of wireless audio total. Nova includes Zaxcom’s 35 MHz tunable tracking front end filter for the wireless receivers. This filter allows for rejection of interfering sources like UHF walkie talkies. The RF distribution system is immune to intermodulation overload. Nova uses Zaxcom’s reliable MARF recording system to keep audio safe from corruption. 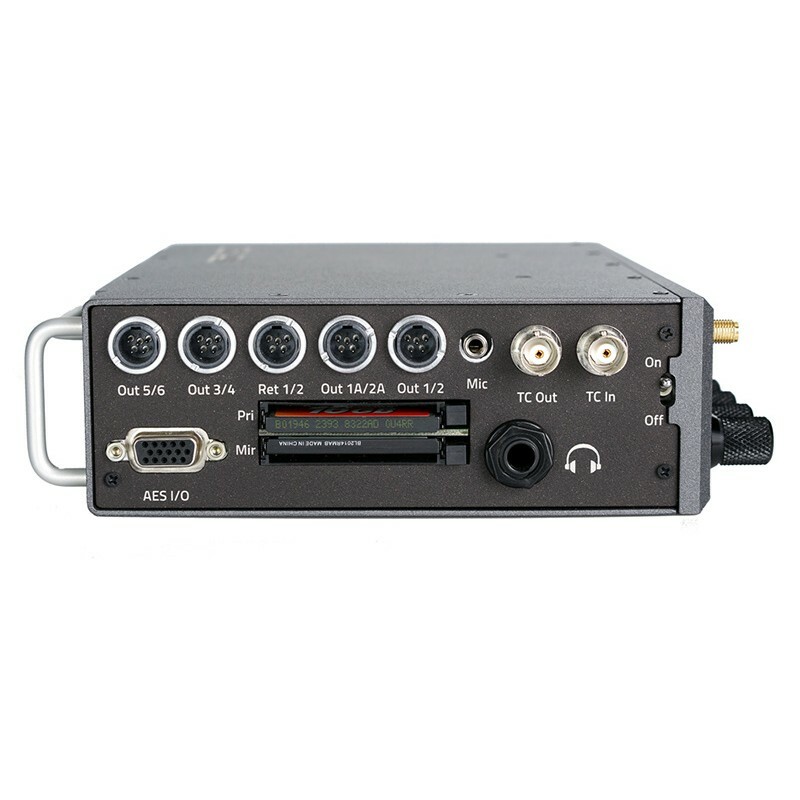 IFB audio transmitted is wirelessly and is encrypted. Additionally, Nova uses two power inputs for redundant operation. External power distribution is not necessary as no external hardware is needed when using the Nova. 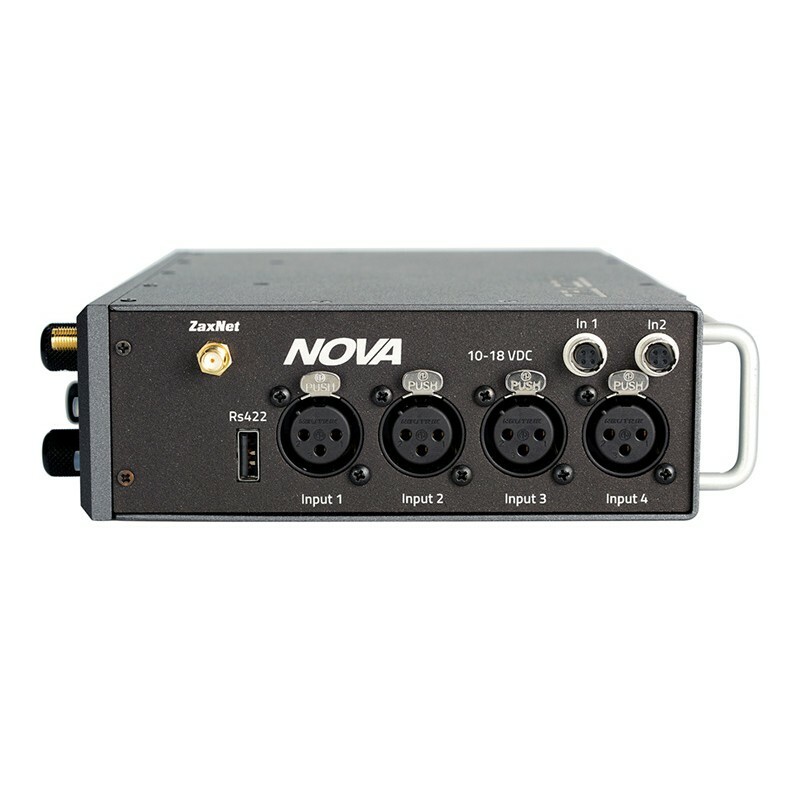 Nova can be used with any wireless system utilizing the analog and AES external inputs. Nova will be available in Summer 2019 for $4,995. Each QRX212 receiver is optional and sold separately for $1,750.